Looking to restore your car's interior or upholstery? 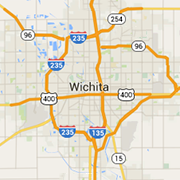 Find the best resources in Wichita for restoring your vehicle to brand new condition. New car interiors, auto carpets, convertible top repair, leather repair, car seats, auto upholstery and more.